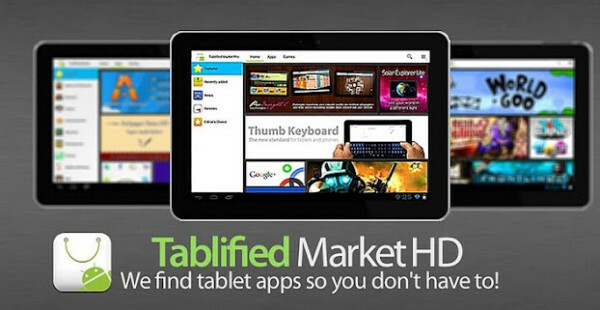 A new store named, Tablified market helps all the tablet users have a whole new store of all compatible apps. The Android-powered tablet users may suffer from some traumatism with the app selection on the Google Play; formerly known as the Android Market. The issue has been caused as Google’s app store mixes phone and tablet apps, with no straightforward way of differentiating between the two. This may cause users to frequently be subjected to apps that aren’t designed i.e. optimized for the respective tablet. Tablified market HD is just another application store for the tablets which brings together all the tablet optimized apps from Google Play simultaneously providing the user with app reviews and news. The basic idea behind the Tablified market HD is a one-stop shop with all compatible tablet applications. The market store is designed for all the Android versions above 3.0, so for all the Froyo or Gingerbread powered tablet users this app will remain a daydream. The Tablified market HD is not just an application compatibility filter used to create a list of compatible apps, but it ensures that only the apps that take fully utilize the tablet’s screen, control the Android’s Action bar along with the fragments API. As the application is in its developing phase, it isn’t perfect of course, and may even prove out a little sluggish, making the experience a little frustrating. For this petite error, the developers are already checking up with the server optimizations. There is also a Lite version of the Tablified market which is free, but like most other free android apps, it is bombarded by ads. For the non-annoying ads version, customers will have to spend just $1.49 from their pockets, and there they have the prop version of the very own compatible apps market.